To Rick Atwood’s dismay, the police find a body on the beach near his Seaside Cove B&B. The dead woman held a pottery shard from an ancient rice bowl, which the cops believe is a clue to her murder. Alex is ten years old, in fifth grade, and is fascinated by murder. When she was younger, her dad was a reporter in New York. He let her “help” write his stories, a practice he sometimes regrets now that Alex firmly believes he got his best ideas from her. Alex believes she and her dad can solve any crime—even when the cops don’t have a clue. Alex, how did you first meet Terry? (Eyeroll) - Seriously? It was totally boring. He was like, I’m gonna write this bed and breakfast mystery story and your dad’s gonna be the hero. And I was like, no way. Daddy’s good at solving crimes, but he really needs my help. I told my author person if I was gonna be in this story, he totally had to give me a bigger part. Want to dish about him? I’m only ten and Daddy doesn’t like it when I say bad things about other people. But, just between you and me, he was totally clueless when he started writing the first book in the series. He had no idea my dad and Marquetta liked each other so much. Doh. How could he have missed that? To be fair, Daddy was kinda clueless, too. I got them both straightened out. But man, it was a lot of work! I don’t know if I have a favorite scene, but my favorite parts are where I get to write in my journal. I never thought about keeping a journal until Marquetta gave me one for my tenth birthday. Marquetta’s our cook and is gonna be my mom someday if she and Daddy can ever stop being so lame (eyeroll!!!). Me and my best friend Robbie Sachetti like to hang out when we’re not going to school. We’re both in fifth grade and can text each other when the teacher’s not paying attention. Robbie doesn’t say a lot and my dad calls him a “man of few words.” I totally don’t mind it when Robbie’s kinda quiet 'cause he’s got these dreamy blue eyes that make me go all mushy inside. I’m gonna marry Robbie when we grow up. Just don’t tell him that! I’d totally rewrite my scene in the attic because it, like, shows I do get scared. I wasn’t supposed to go in the attic, but when I found out it was unlocked and there might be clues to why Marquetta’s so secretive about her past, I just had to go up there. It wouldn’t have been a big deal except my author was too cheap to add a couple more lights, so it was super dark up there. I’m totally gonna get back at my author for making me do something so scary. Tell the truth. What do you think of your fellow characters? Daddy’s the best dad in the world. And Marquetta, she’s like, my hero. She’s strong and loves me a lot, just like I love her. I totally don’t like Miss Potok because she just wants to cause trouble. She’s one of our guests and is trying to find the treasure before anybody else. I also really like Miss O’Connor. She’s a lady archaeologist and is trying to save the past from people like Miss Potok. The worst thing was when my mom left us. That was a few years ago, and it took me and Daddy a long time to get over it. That’s one reason we moved to Seaside Cove. What I learned is that me and Daddy didn’t have to settle for someone who cared about her career more than us. It wasn’t until we got here that we realized our lives could go on without my mom. I already told you more than I should’ve about Robbie Sachetti, so I’m gonna tell you about Marquetta. She’s been at the B&B for a long time. She even ran it after my grandfather, Captain Jack, died. When me and Daddy moved here, she started teaching us the business. She’s pretty and is the best cook ever because Captain Jack sent her to a fancy cooking school when she was eighteen. Marquetta has taught me how important it is to write down my innermost thoughts. That’s why she gave me my journal. I totally want Marquetta to be my mom someday, so I keep trying to get her and Daddy together. I may be just a kid, but I seem to be the only one who knows how this romance thing works! He totally thinks it’s funny to call me Nancy Drew, but that’s so lame. She was, like, sixteen when she got her first case. She had a really cool car and could drive. I won’t even be able to get my learner’s permit for another five years! Hello! Author person, get a clue! How do you feel about your life right now? My life right now is awesome. I’m in my second book, Daddy and Marquetta are spending more time together, and I got to do all sorts of cool stuff to solve the murder. Living in Seaside Cove rocks! We might not have a lot of super fun stuff to do, but the locals are awesome! Tell us about the town where you live. Seaside Cove is, like, really small. But, we have all the important kinds of places. The businesses on Main Street are in old houses, which is awesome. We have an ice cream shop and that’s, like, my favorite place in town. It’s run by our mayor, Mrs. Carter, and she can be kinda pushy at times. Deep down I know she’s okay. She just wants what’s best for the town. Will you encourage Terry to write a sequel? He’s totally gonna have to write some sequels! There’s a lot going on in Seaside Cove. There’s, like, this whole big Christmas thing coming, and then they’ve gotta start bringing up all the treasure from the San Manuel. That’s the Spanish galleon that sank a super-long time ago. I’m gonna make him keep writing sequels until Daddy marries Marquetta. He might have to keep going after that because having a baby sister would be awesome! Terry Ambrose has written more than a dozen books, several of which have been award finalists. 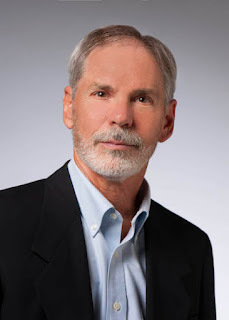 In 2014, his thriller, Con Game won the San Diego Book Awards for Best Action-Thriller. 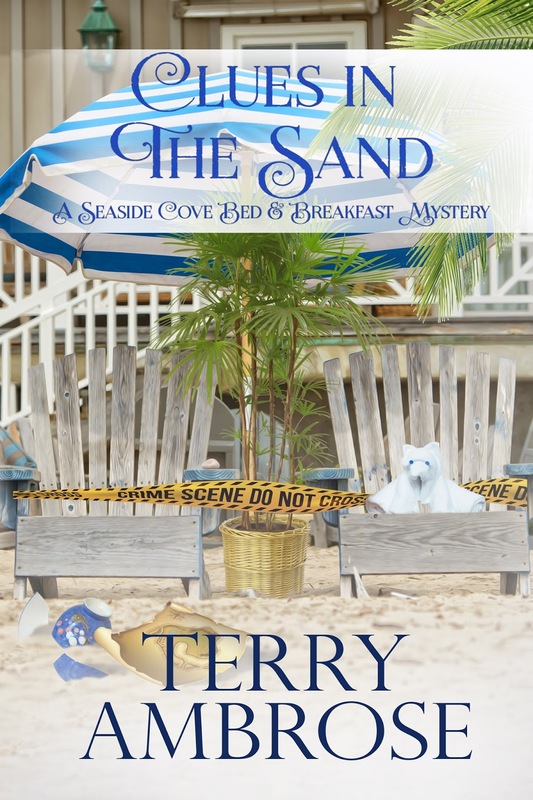 He’s currently working on the Seaside Cove Bed & Breakfast Mystery series.